Mia Wasikowska, Jessica Chastain, Tom Hiddleston et al. Mitzi McCall, Susanne Blakeslee, T.J. McGibbon et al. When her heart is stolen by a seductive stranger, a young woman is swept away to a house atop a mountain of blood-red clay - a place filled with secrets that will haunt her forever. 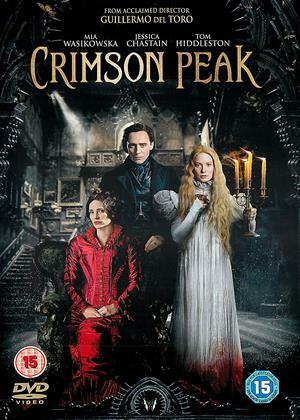 Between desire and darkness, between mystery and madness, lies the truth behind 'Crimson Peak'. I'm really starting to go off Guillermo Del Toro. Like Terry Gilliam, he's gotten the idea that if you put enough striking imagery on the screen, it doesn't matter if the story makes no sense whatsoever. 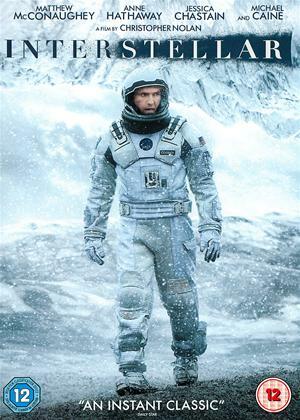 It has to be said that this movie looks marvelous. Whenever somebody has a cup of tea (which, for clumsy subplot reasons, happens often), you just know that a property buyer spent days in antique shops looking for a teacup that perfectly matched every other beautifully lit slightly menacing object in the room. And the Old Dark House where most of the film is set is memorably surreal, if at times a wee bit silly. But this is a movie, not a still life, so it would help if it had a good plot, and it doesn't. This film is obviously Del Toro's homage to Roger Corman's Edgar Allen Poe adaptations, especially "The Black Cat". If you've seen the Corman films, you'll constantly be spotting little nods to them, while wishing you were watching them instead because they're a lot more fun, despite their much lower budgets and complete lack of CG ghosts. Also, Tom Hiddleston is no substitute for Vincent Price, even though he looks a lot more like Edgar Allen Poe. It's not entirely his fault, because he was obviously supposed to bring many of the same qualities to this character as he did to Loki. Unfortunately, Del Toro's clumsy idea of making the film "feminist" is to assume that if the the women are strong, the men must be weak. Remove Loki's arrogance (and superpowers) and he's just an insecure wimp, which is pretty much what we get here. Even worse, since there are so few major characters, the "strong" heroine is obliged to be hopelessly stupid and useless for much of the film because it's a direct homage to movies which always involved a damsel in distress, then go all "Final Girl Versus Jason" at the end because she's also the hero. That's absolutely terrible scriptwriting (by the way, Del Toro co-wrote the script), so it's no surprise that almost every other aspect of the plot is either totally predictable or just plain nonsensical. He seems to think that a Hellboy-style supernatural action comedy turns into a tragic and moving drama if you leave out all the comedy and most of the action. It doesn't. Oh, and about those CG ghosts? One thing Del Toro has managed to learn from Roger Corman is that if you include a couple of minutes of footage that don't really have anything to do with the rest of the movie but are sure to please the crowds, you can cut a trailer which implies the whole film is like that without actually lying. The few appearances by these spooks, which look too bizarre to be the least bit scary, serve no genuinely useful purpose, and sometimes make the heroine seem extraordinarily slow on the uptake. Let's face it, if you ignore the advice of a rotting blood-soaked zombie with a cleaver stuck in its head to leave the house right now, you deserve everything you get! 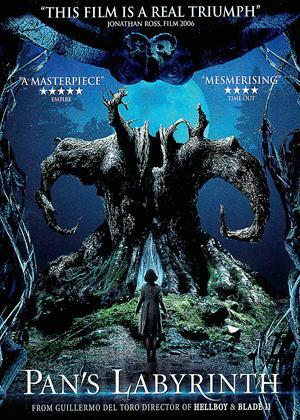 An impeccably filmed, sumptuously designed shaggy-ghost story that unfortunately amounts to much ado about nothing. The occasional ghosts are irrelevant, while scenes of our heroine wandering anxiously around a spooky mansion soon pall. However, this is a del Toro film, so all hell finally brakes loose in an overwrought ending that plays out like a Gothic gunfight. Worth waiting for? The jury's out. 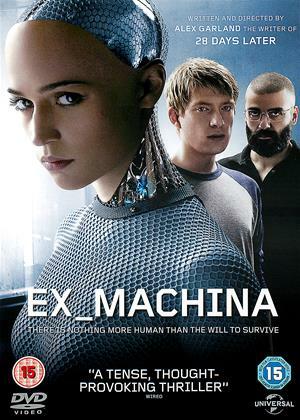 Great visuals, great atmosphere, predictable and at times nonsensical story, rubbish CGI (reminder: don't make spooks "wispy", it doesn't work.) So, a mixed bag, but enjoyable for all that. Crimson Peak is utterly predictable, childishly simple, even dull at times, ping-ponging between several genres (of which horror the least) and failing to settle in neither. Its redeeming qualities lay in the meticulously crafted sets, beautiful costumes and great use of a color palette, but even those cannot stop it from being clunky, rancid – and especially toward the end – a surprisingly laughable piece. 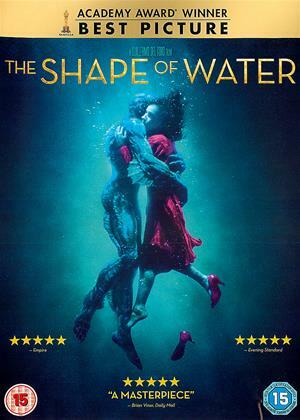 Guillermo del Toro’s 9-th film feature starts with a strong premise, convincible characters and well-established rules. This doesn’t last long however, and one sees the main character dropping the consistency ball as others follow – from here onward it’s all a ride downhill devoid of any cathartic bliss supposed horror films ought to provide. 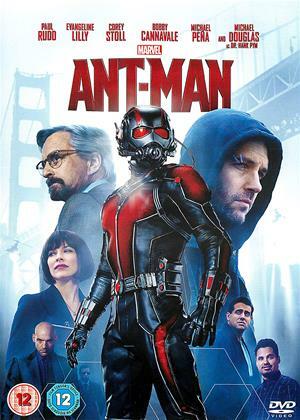 As if this wasn’t bad enough – the actors’ efforts go inversely proportional over the provided narrative progress – with the culmination playing as if the filmmakers ran out of budget exactly there on the spot (digitally enhanced ghosts are expensive). Somewhere previously Mia Wasikowska’s monotone reciting remarks that ‘ghosts are metaphors for things’, and presumably the audience would understand that, but still: why then also include them physically in the movie? It’s conflicting, confusing and doesn’t lead anywhere; the ghost apparitions on the other hand are as pointless as a comb to a bold man, or as poorly written ghosts in a cheap script. Then comes the marketing, and since it’s somewhat related to a movie, one cannot disregard it: can we just stop wrongly market movies? It’s of benefit to no one, it’s cheap, unfunny, and it’s called cheating the potential customers. The acting ensemble acts sub-par, period, with Tom Hiddleston barely standing out from the group. Jessica Chastain, Mia Wasikowska and the rest are unconvincing, and act as if they were main stars in a lead soap opera spell. The directing is fine, with some dubious decisions, such as painting the ‘good guys’ light VS the ‘bad ones’ in darker tones. The weakest link is the story: it’s actually abysmal when I come to think of it. There are characters popping in and out of existence, coming back, going away and doing nothing of importance in the overall picture. Never mind ghosts: one witnesses steam machines, random motivations, butterflies, rings, a dog, a board room meeting and a waltz just for the sake of it. At one point our protagonette cites Merry Shelley’s stoic stance against men, only to succumb to a certain Hiddleston she just met five minutes later. And it’s no mystery either: in order to be a mystery it has to hide a crucial something. Crimson Peak just lacks information while being predictable, is all. Finally, the final scene plays as, beg my pardon – showdown at Crimson Creek, with Jessica Chastain failing to realize to never bring a cleaver to a shovel fight. There is no character progression, no conclusion, no satisfaction and no nothing. Watching Crimson Peak feels like stabbing one’s toe in the dark on a furniture piece, and going straight to bed without tending to its wounds. It will hurt all night long, and maybe a bit at sunrise.